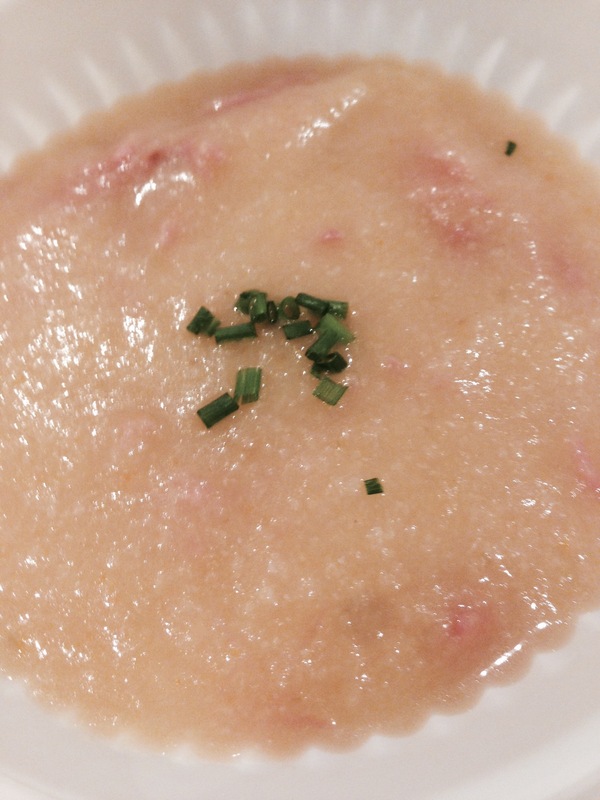 This was a Christmas soup – reminiscent of the pea and ham soup I used to make. Every year I host >30 relatives (in-laws, outlaws and others) at my place on Christmas night and cooking needs to be upscaled and cater to a wide variety of tastes and needs (gluten free and dairy free, no less!). This recipe hit big in the flavour department and helped stay a couple of hunger pangs while the turkey was making its delayed entry. Place shredded ham back into soup. Serve hot with garnishing of chives and/or truffle oil.